Thirsty Thursday: I am woman! I am invincible! I am pooped! I wasn’t planning on a new post today until I found this. (On the Internet, not in my pocket, I promise). Like it’s that easy, right? Luckily, I have good people and good things in my life that make it a little bit easier than it might be for a lot of others. You can probably guess what the picture is in reference to so I’m not even going to embarrass myself by typing it out. If you don’t, please see “Weekend Warrior: Clear Eyes, Full Hearts, Can’t Lose”. So number 1 on the to do list says to “move on.” I think to really move on, you have to know what it is exactly that you’re moving on from. It’s a waste of time to think you’re moving on from a situation that you never really understood your commitment to in the first place. Before I can move on from anything, I have to figure out what are the parts of the relationship or the environment that are no longer working for me. Today, I’m not just moving on from one guy in particular, I’m moving on from the lot of ya (for a hot second, at least). I wish you could hear the voice in my head that just said that because it’s very calm and content, not at all man-hating and feisty. I’ve been through an entire line-up of batters, nine guys to be exact (geez ok, so it’s like 5% man-hating and feisty but 95% calm and content) and it’s time to move on for a little bit. Analysis: A) I am moving on from the exhaustion that comes with putting yourself out there and meeting someone new. Do you know how many times I’ve showered, blow dried my hair, put on make-up, and dressed up for these dates? Sweet lord, that’s enough to make ya move on in itself! B) I’m moving on from the disappointment of nine unsuccessful attempts at mutually connecting with someone. Don’t get me wrong, I learned something about myself and what I seek in a partner through all of these attempts and I have no regrets (yup, I learned that last week – Go me, I’m a “have no regrets” kinda chick!) but a break is in order. And C) I’m moving on from the overwhelming feeling that this “man hunt” has taken over my life. I am a second semester senior with a thesis to write, a summer to plan, vodka to drink, and a few weeks left to enjoy beer pong with my friends, running in Georgetown, and a city that has loved on me for four fantastic years. Number 2 on that to do list says to “laugh”. Yeah, like that’s hard for me to do. All Sammy has to do is look at me and we crack up. Fortunately, I got started with the laughing part last night. Any night spent at Rhino with Brittany, Oscar, and JC can change my entire mood. I swear, I don’t know what it is about that place but I can walk in there in the worst mood and within minutes I’m a changed woman. I’ve been thinking that I want to get back to the place I was in during the fall and that place would be ri-goddamn-diculously happy (Refer back to the post, “Weekend Warrior: We are not normal”). That starts today and last night was a great way to kick it off. I haven’t worked all together with that crew since the fall so the rare opportunity was warmly welcomed. How about next year when I’m having a bad day, I’ll fly, drive, or run over to Rhino, work a shift with those 3 characters, and then go back to real life? Perfect. 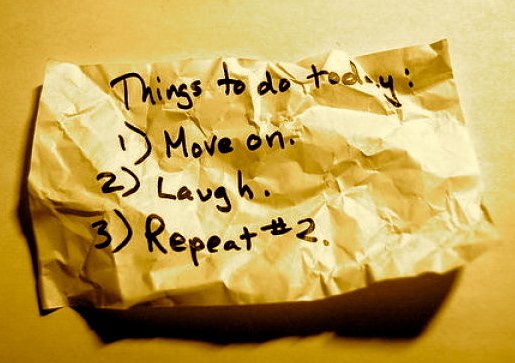 Number 3 on the list says to “repeat #2” which I am on my way to doing. I have a wonderful Friday night planned with my Meghan. We are having a caf date for dinner and then going home to get ready for a Johnnie Walker private taste testing event at the Andrew W. Mellon Auditorium, called The House of Walker Experience. I have no idea what to expect, all I know is that I’ll be with Meghan (who has been annoyingly busy with school work recently, so a catch up session is in serious order), there will be Johnnie Walker, and we’ll be all kinds of classy at the venue. 5) Make my own “Barbara Streisand Song”. Ya know the techno song? Try it out, it’s fun. This entry was posted in dating drama, it's a girl thang and tagged dating, sassarella says, thirsty thursday. Bookmark the permalink.